If you follow either Cycle Chic or Copenhagenize you may have seen the #vikingbiking hashtag on Twitter or Instagram. We were amused to discover that a variation of the hashtag exists as a product. 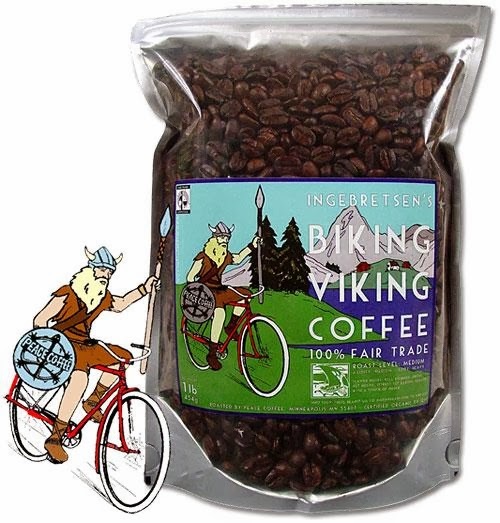 Biking Viking coffee, available online at Ingebretsens. Uh oh... we just discovered they have chocolate, too.